Wanted to draw something adorable in my freetime (haven't got a lot of time for more complicated projects lately), soo decided to draw my characters in pajamas,after they woke up. I imagine Epigon,the not morning type person. Even grumpier than usual and needs his morning coffee every morning. 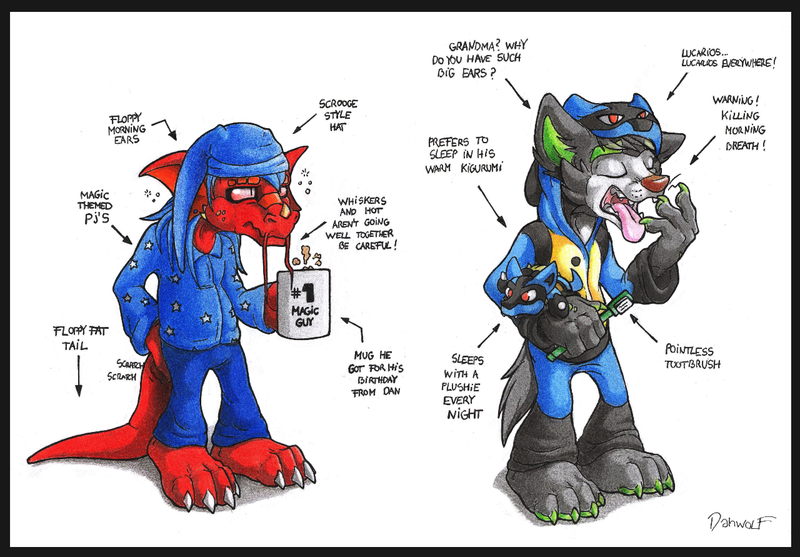 Dan should be the same but he doesn't needs coffee just a good shower and he always wears his silly looking pajamas which his dragon friend hates.